have 4 beautiful children: Charlotte, Graham, Will, and Penelope. in 2001 to pursue her childhood dream of becoming a veterinarian. from Michigan State in 2005. Dr. Townsend looks forward to meeting you and your pets!! Born and raised in Muskegon, Dr. Peck graduated from Western Michigan Christian High School. She attended Michigan State University where she earned a BS in Biology with high honors in 1993 and a DVM with honors in 1997. Dr. Peck has worked at various clinics in Kalamazoo, Holland, Grand Haven and Muskegon. Her hobbies include reading, swimming, movies and playing with her two dogs, Chase and Finn. Dr. Patterson is a native of Ravenna, MI. After graduating from MSU with a Bachelors in animal science, Dr. Patterson went on to graduate from the University of Illinois College of Veterinary Medicine in 2010. She has practiced veterinary medicine in northern Indiana and southern Michigan before coming to Holton Road Veterinary Clinic in July 2013. ​In her spare time, Dr. Patterson enjoys being outdoors (hiking, horseback riding, fishing, hunting, etc.) and spending time with family & friends. Grace and Kole. Their family dog is a Shih Tzu-Pug mix named Chase. from Baker College of Muskegon in 2013 with her Vet Tech degree. John Ball Zoo for a year. time with them to make sure that their stays go as well as possible! ​She has a chow-mix named Yogi and a terrier-mix named Scarlet at home that she spends most of her free time with. When not hanging out with her pups, Sovanny enjoys heavy metal music! Alisha joined the staff in October 2016. Hired as a veterinary assistant Alisha completed her degree at Baker College in 2018! She spends extra time in the clinic helping out wherever she’s needed: greeting patients, helping doctors with in and out patient procedures, helping with surgery prep and her personal favorite: receiving as many puppy kisses and kitten cuddles as possible! is a proud parent of a cat named Maya, who adores people and is quite chatty! Amy is the newest member of our team, joining us in June 2018. She became a Licensed Veterinary Technician in 2009. She has worked in emergency medicine, shelter medicine and private practice. In her spare time Amy enjoys hiking, kayaking and nature photography. She also does pet sitting on the side, so if you're interested, let us know! She shares her home with her girlfriend, daughter and pets. Together they have 4 dogs (Kiya, Hank, Jacob and Brody), 4 cats (Coal, Simon, Melvin and Forest), 2 prairie dogs (Stanley and Chilly), and a jenday conure (which is a type of bird), named Sangria. Lyndia has been working at the Holton Road location since April 2001. She enjoys seeing the regular clients and meeting new clients, but she has a passion for meeting the canine and feline companions that accompany them. She is married to her husband Larry, and they have a step-son named Tate. They have three pets at home, a labrador named Buck and two amazing feline mousers, Ebo and Sly. When not at work, she loves to read, listen to music, run, skii and spend time at the beach with her family. medicine since 1996, working both as a receptionist and technician. adopted Boston Terrier named Romeo. Lisa and her husband Mike have been blessed with four children and four grandchildren. When not working Lisa and Mike enjoy spending time with family and friends! the staff and especially the pet owners and their critters! Janine has been married to her husband Mario since June of 1989.
friends, traveling, and enjoying life! Karla has been with Northside for the last 10 years. She grew up in the North Muskegon area up until her recent move to Whitehall where she currently resides with her husband, Corey, his son Gage. 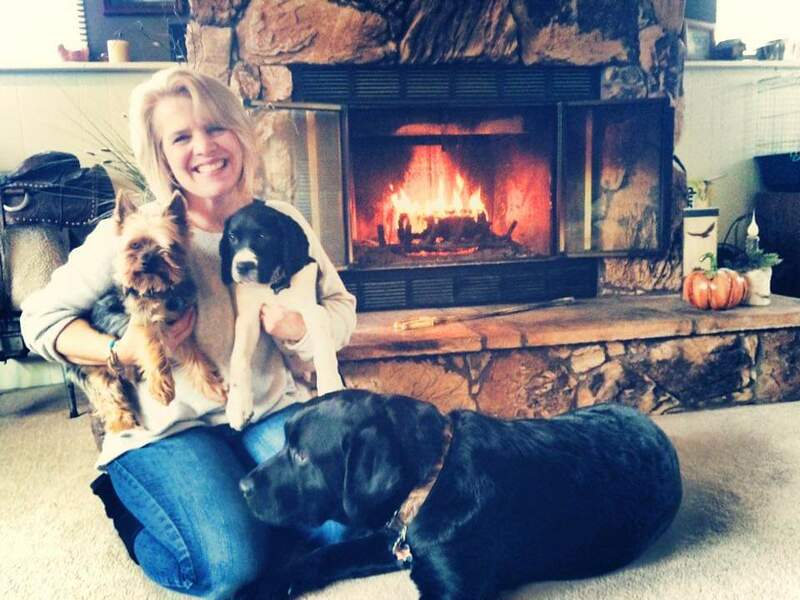 In her spare time Karla enjoys nothing more than spending time at the beach with their retrievers in beautiful West Michigan and during the winter months they enjoy cooking various dishes. pets that come in! If you've got a boxer, she wants to meet them. Cristi is new to Michigan, traveling up from Illinois in 2017 for her husband's job and joining our team in 2018! She has always loved animals and worked with a shelter in Illinois as a foster parent for small animals like mice and rabbits. She currently has a mouse, a bird and three dogs at home! In her spare time, Cristi enjoys riding motorcycles with her husband and spending time with her family at their cottage in Frankfort, Michigan! Jessica grew up in southern Indiana, but has resided in West Michigan for the past 20 years. She has worked for several veterinarians from Portage to Muskegon and was happy to join our team in 2018! Jessica has a blended family with her husband Jon, his three children Cody, Brooke, and Chase and her daughter Riley. They have an adopted fur babies, Lady. They enjoy volunteering in the winter with Ski Patrol and in the summer with US Sailing race events. They also love spending time with family and friends and travelling with them on skiing and sailing vacations.